Two-sided, front and back. Used for training as a "roadmap" for pad placement and to provide functionality for Philips' Training Electrode Pads. 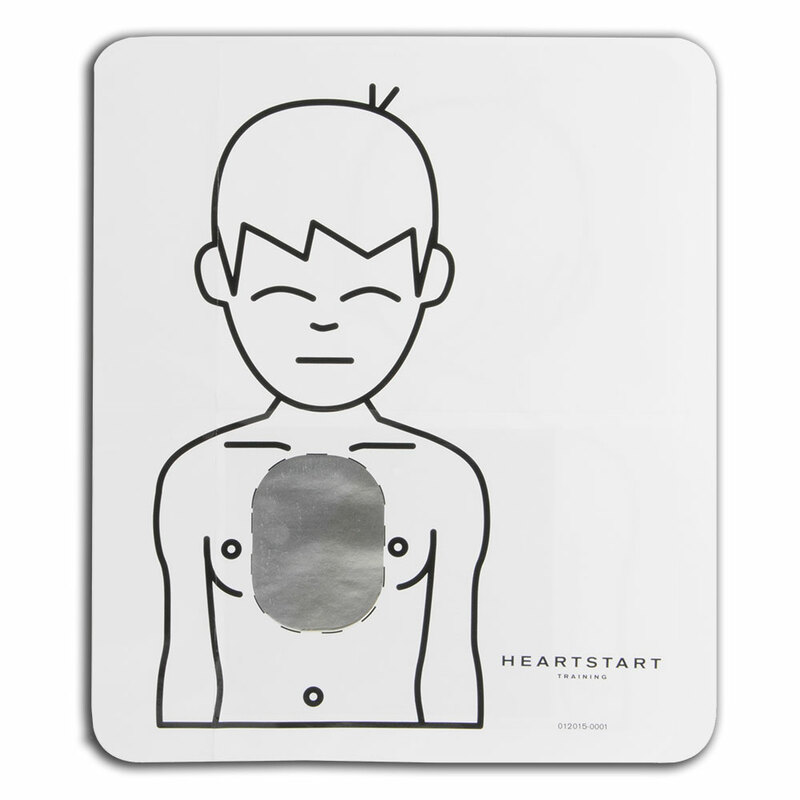 This instructor's tool teaches the student the correct AED electrode pad placement. Measures 14.75" x 12".